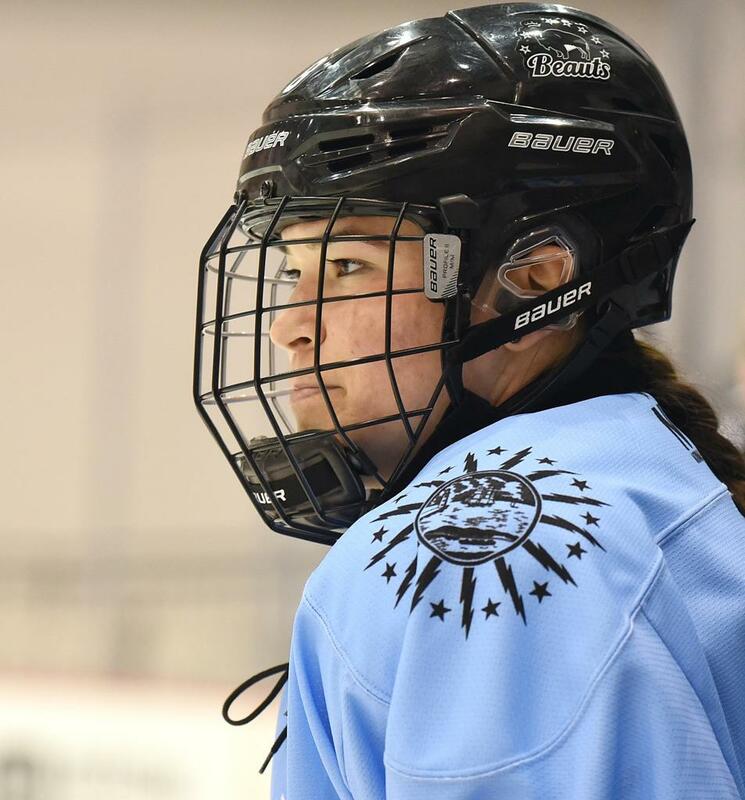 Buffalo Beauts forward Kelly Babstock is an original NWHLer. And now, after four seasons of playing in the league of which she helped lay the groundwork, Babstock will make her first Isobel Cup Final appearance. If her Buffalo teammates have anything to say about it, she will get her name forever inscribed upon Lady Isobel soon. Babstock and the Beauts play in the championship game on Sunday Mar. 17, 2019 at 1 PM CT at TRIA Rink in Minnesota. They will face the winner of this Friday night's showdown between the Minnesota Whitecaps and defending Isobel Cup champions, the Metropolitan Riveters. An inaugural member of the Connecticut Whale, Babstock has played 65 regular-season games during her NWHL career. She has totaled 27 goals and 23 assists for 50 points during that stretch. The 27 goals are presently third-most in NWHL history, with Jillian Dempsey (Boston) and Madison Packer (Metropolitan) tied at the top with 29, followed by former Pride player Brianna Decker's 28. Likewise, Babstock's 50 points are ranked fourth all-time behind Decker (60), Dempsey (58) and Packer (51). Babstock's finest season offensively came with the Whale in 2016-17 when, in 17 regular-season games, she generated career highs of 10 goals, nine assists and 19 points. 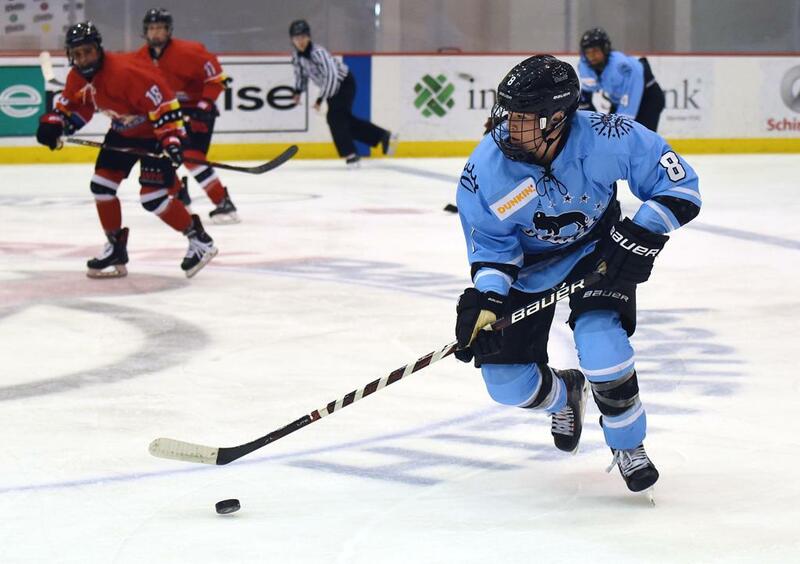 Coinciding with her up-tempo style as a power-forward, her career 94 penalty minutes are second only to the Boston Pride's Kaleigh Fratkin who has a career total of 106. Babstock opted to test NWHL Free Agency this past summer and signed a contract with the Beauts on June 16, 2018. She has been a vital cog in Buffalo's success this 2018-19 campaign and is one of the reasons why the team is in the Cup Final for a fourth straight season. She played in all 16 of Buffalo's regular-season contests and was one of seven Beauts to reach double digits in points this season. Buffalo's head coach Cody McCormick has found tremendous chemistry among all three of his forward lines. But his traditional second line of Babstock, Emily Janiga and rookie Julianna Iafallo, might very well be the top line for any number of other teams. This trio packs a wallop and has combined for 14 goals and 29 points this season. You are an original NWHLer. After four years in the league, you are playing in the Cup Final for the very first time. What emotions are you feeling right now? Pretty excited. Not everyone gets to make it to the Final, and I'm super proud and excited to be there with this squad going into Sunday. Whether we are talking your collegiate career at Quinnipiac or your earlier NWHL seasons with Connecticut, we know that you have played in big games before. How do you best prepare for road games of this magnitude? You've just got to focus on the details and every shift. This is the most important game of the season. This is what we've worked for the whole entire year. This is what we wanted, and we're here. Just focusing on the details and giving it everything we have. That's what we're going to do, and everyone's ready for that. Your Beauts teammates know full well that you have been in the league since Day One. Do you think they feel extra incentive to try to get your name on the Cup? Everyone just really wants to win the Cup. Everyone wants to play for each other. That's what I want to do. Everyone in the room - we care about each other, so at the end of the day we want to win for each other. Regardless of the outcome on Sunday, 2018-19 has been a very successful season for the Beauts Beauts. How are you going to look back on this season once it has concluded? It's been an amazing experience, an amazing opportunity that I had to get to play in Buffalo. Just everything from practices to coaching staff, my teammates - this is probably one of my favorite years of playing hockey, and I've played hockey for 20 years. This is definitely the most fun I've had in a while, and I'm very grateful to be part of it. You will be playing for the Isobel Cup in Minnesota, but you know that the folks in Buffalo will be cheering their hearts out for you all the while. What message do you have for the Buffalo fans who will be watching back home? The Buffalo fans are amazing. We want to win the Cup for each other in the room, but we also want to bring the Cup back for our fans. They're the best fans in the league. They give us so much energy and all that support really helps us out. We know being on the road that they'll be watching, and we can definitely feel that support moving forward. All we have to do is just think about the crowd that's been there all season. Definitely want to win one for the fans.